Indirectly, this stands to be good news for Sonic Colors. Nintendo today released a statement citing internal sales estimates that claim, combined, the company sold 1.5 million consoles last week, which included the Black Friday shopping day. 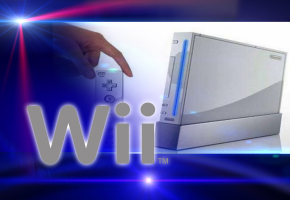 Wii sales were up slightly versus last year, while DS sales were down. Some 600,000 Wii units moved off store shelves last week, while 900,000 DS branded consoles were sold, says Nintendo. Bundles are cited as the principal reason for such success. With such a surge, the trickle-down reward on Colors stands to be significant, so be on the lookout for those domestic sales estimates at the end of this week or the beginning of next week. Microsoft and Sony have not released sales estimates from last week yet, but from the looks of things, they have a high bar to beat with Kinect and Move, respectively.